In a conversation with Maine Public Broadcasting, Susan Langdon, lecturer in psychology, applies her research on body image to our perennial devotion to self-improvement and annual ritual of making New Year’s resolutions. 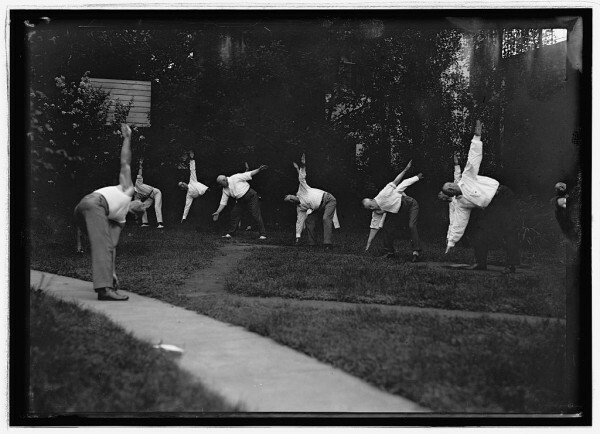 Members of President Woodrow Wilson’s cabinet appear to be maintaining their fitness resolutions in this photo from August 1917. Photo courtesy of Library of Congress, National Photo Company Collection. Resolutions around fitness and weight loss are particularly ubiquitous. All too often, however, our best-laid plans get derailed along the way. For those who falter in their resolutions, Langdon says to be cognizant of potential excuses and, when it comes to wellness, set realistic expectations to avoid chasing an unattainable ideal.